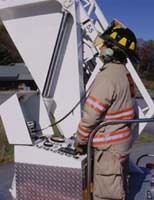 Versatile - Can be installed on Fire Apparatus, Ambulances, Rescue Boats, Utility, and Construction vehicles of all types. If it rolls, floats or flies...or not, David Clark Company has a solution to help you cope with high noise environments. View our portable or mobile radio selections to determine which David Clark adapter and headset combination is correct for your particular radio. Series 3000 Headsets connect to the series 3000 PTT two-way Radio Adapter. Headset models should be selected based on the style and features best suited to your application. All headsets, except single ear and slotted dome models, have noise reduction rating (NRR) of 24 dB. Series 6000 Headsets connect to the series 6000 PTT two-way Radio Adapter. Headset models should be selected based on the style and features best suited to your application. All headsets, except single ear and slotted dome models, have noise reduction rating (NRR) of 24 dB. Series 7000 Headsets connect to the series 7000 PTT two-way Radio Adapter. Headset models should be selected based on the style and features best suited to your application. All headsets,except single ear and slotted dome models, have noise reduction rating (NRR) of 24 dB. 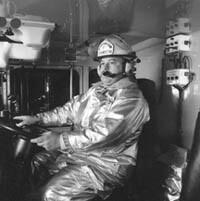 In 1975 David Clark Company introduced the first headset specifically designed to provide hearing protection for pilots while also providing clear, isolated reception and crisp transmission at normal voice levels in a noisy aircraft. 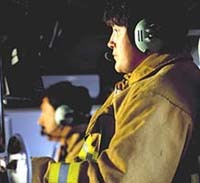 The following is the most complete line of noise attenuating aviation headsets available anywhere. Extremely Lightweight - only 13.4 oz.! "The Standard" among noise-attenuating headsets. Has all the features pilots want. Our "Best Value" Headset. There are more H10-30s in use than any other noise-attenuating headset. Our most comfortable design with advanced composite construction and Exclusive Custom Comfort System. Highest Noise Reduction Rating (NRR) for noisy helicopters. "Top-Of-The-Line" standard headset with interchangeable cords for any application. A low impedance headset for use with military radios. Converts over-the-head style headsets into a Helmet/Headset assembly. The ENC Story: A brief explanation of Electronic Noise Cancellation. Electronic Noise Cancelling Technology added to our most popular headset in a modular, portable design. Electronic Noise Cancelling Technology incorporated into our most comfortable headset. Especially for helicopters. Electronic Noise Cancelling Technology in the best noise attenuating headset available. Dual Impedance Headset with ENC Technology. A low impedance headset for use with military radios. Advanced ENC technology provides 16-22 additional dB beyond already superior passive noise attenuation.